Mid-December updates, preparing at Homeacres for 2015. What to fill beds with? 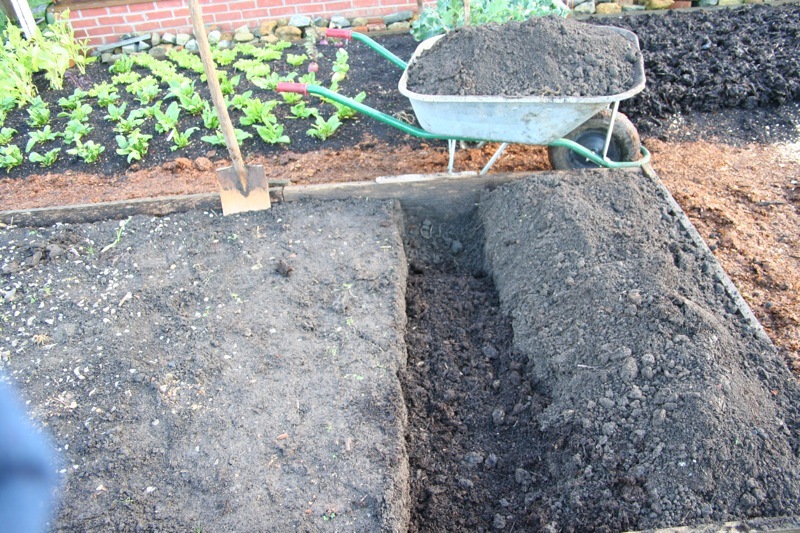 I have tried many ingredients, for example see December 2012 for an example of filling beds with either soil (good topsoil from here) or compost, on a dark, December afternoon. 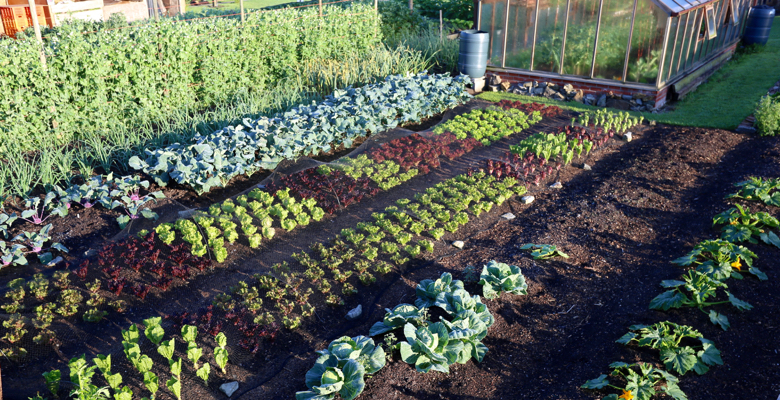 Last year 2013, both beds grew great vegetables, almost the same amount. 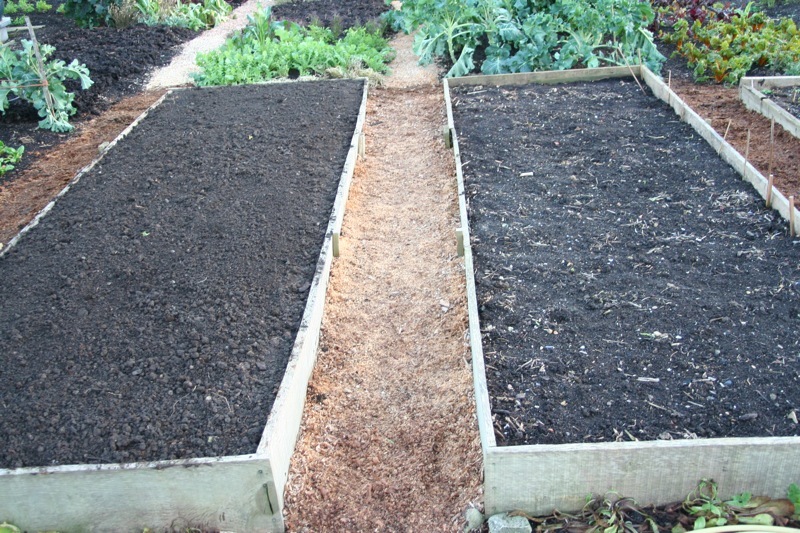 In December 2013 I spread two inches of homemade compost on both beds, and continued planting the same veg in each bed throughout this year. 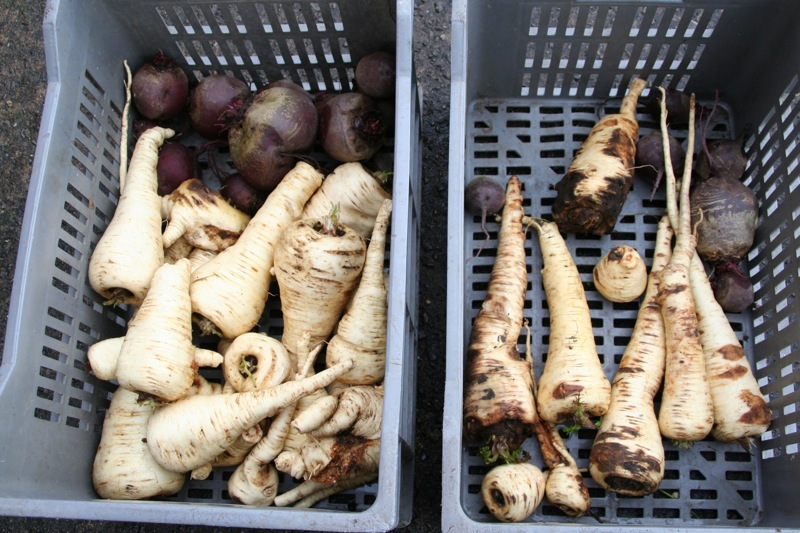 Now the differences are strong, with the compost-filled bed growing better crops, see the photo below for example of a recent root harvest. 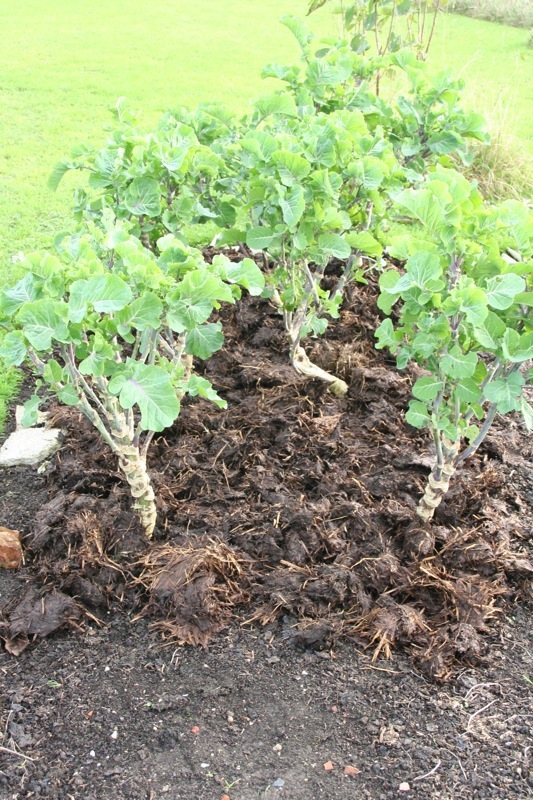 Soil bed parsnips 3.0kg and much canker, compost bed 6.4kg and mostly clean skins. Beetroot were 0.8 and 2.2kg respectively. 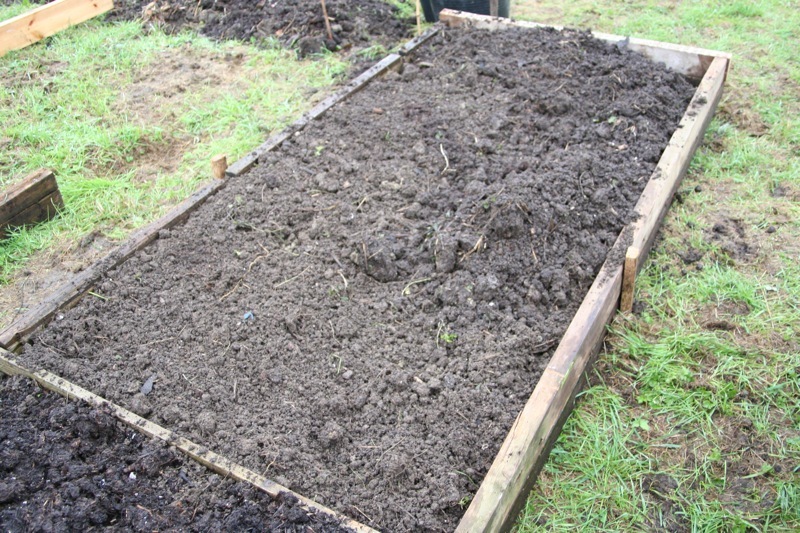 I think that some soil is ok but not the whole bed. 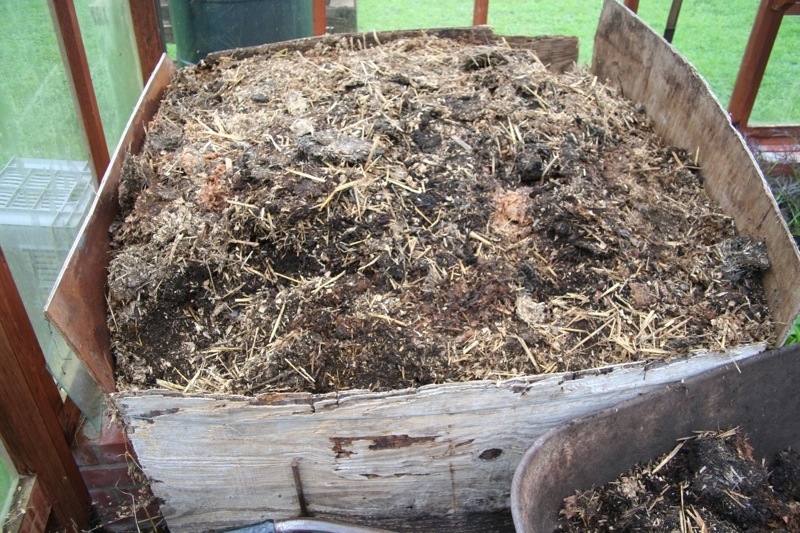 The problem with only-compost can be that its level sinks so fast as the compost matures. 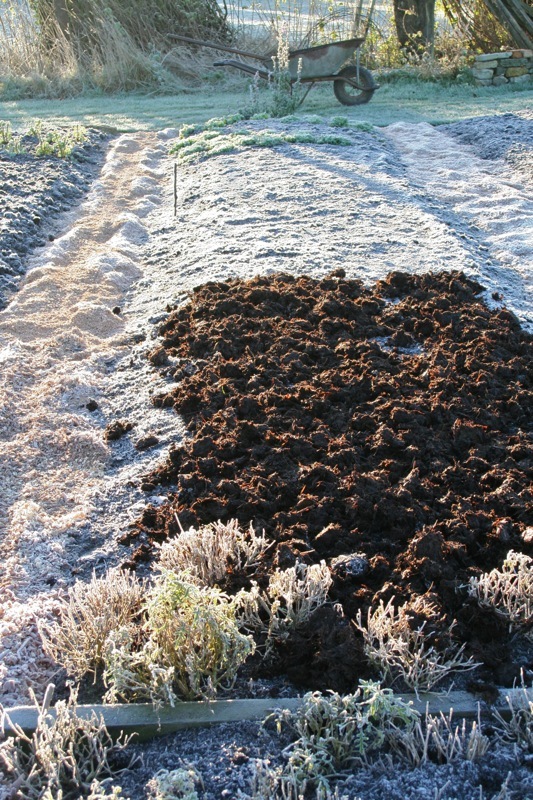 But a soil bed settles so slowly that its hard to fit compost on top! I have just dug (!) the 5×16 feet bed of my dig/no dig experiment. 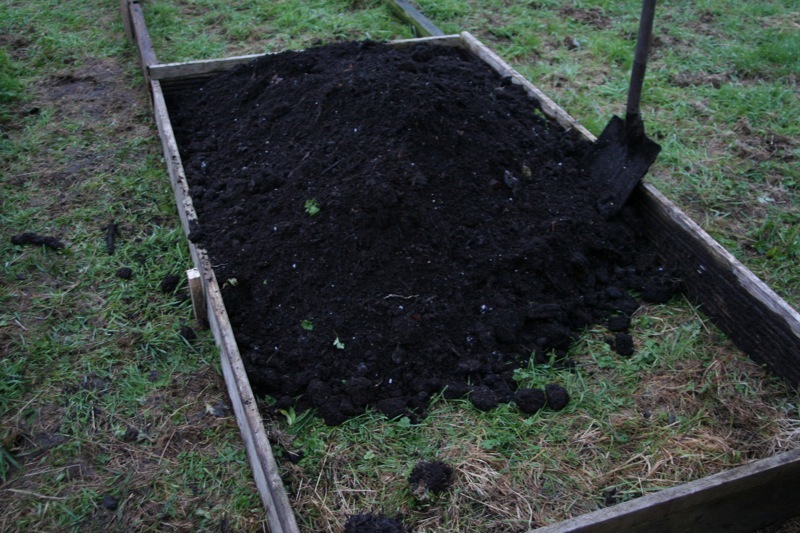 I put a trench of soil in a barrow, then add compost, then turn the next trench of soil onto it. 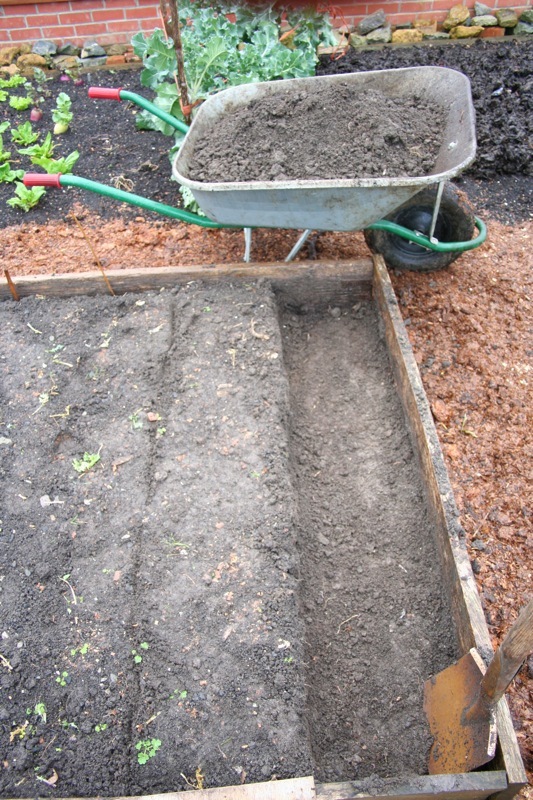 After turning over the last trench at the bed’s other end, I tip the barrow of soil onto its compost. That took 4 hours this year, quite quick as the soil is quite crumbly here, a nice loam over the clay. 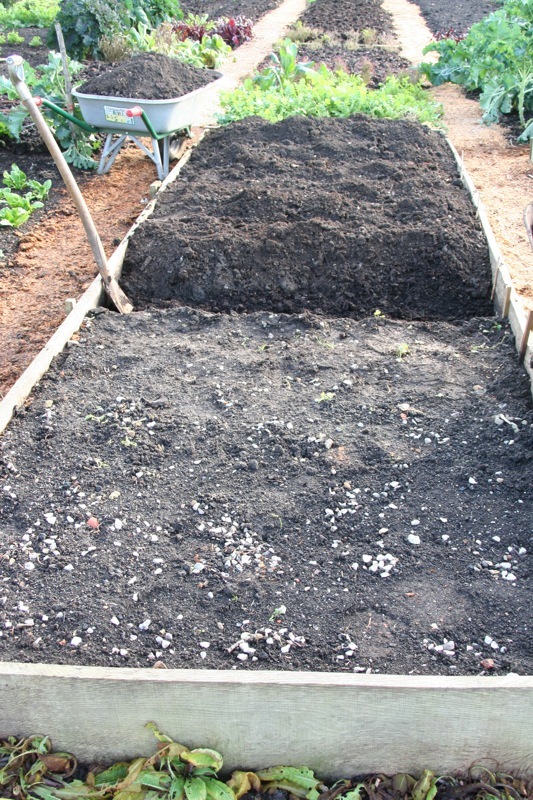 Then it took two hours to top the no-dig bed with compost – two fifths cow manure, three fifths municipal. I added five barrowloads to each bed, more than usual as I wanted their levels to come back to the top of the boards. 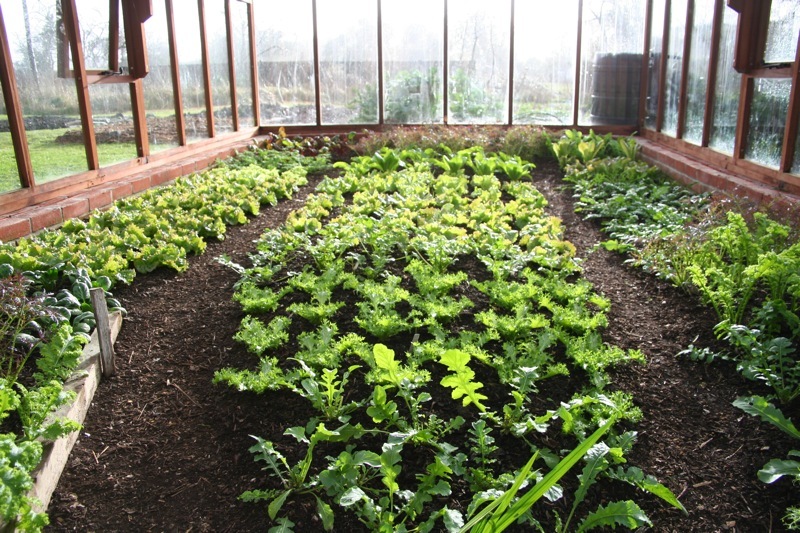 The level of cropping justifies this, with 104kg vegetables off each bed this year. I am growing both Taunton Deane and Daubentons. They are quite different. Taunton is tall, its leaves have purple stems and are slightly waxier than Daubentons’ leaves. 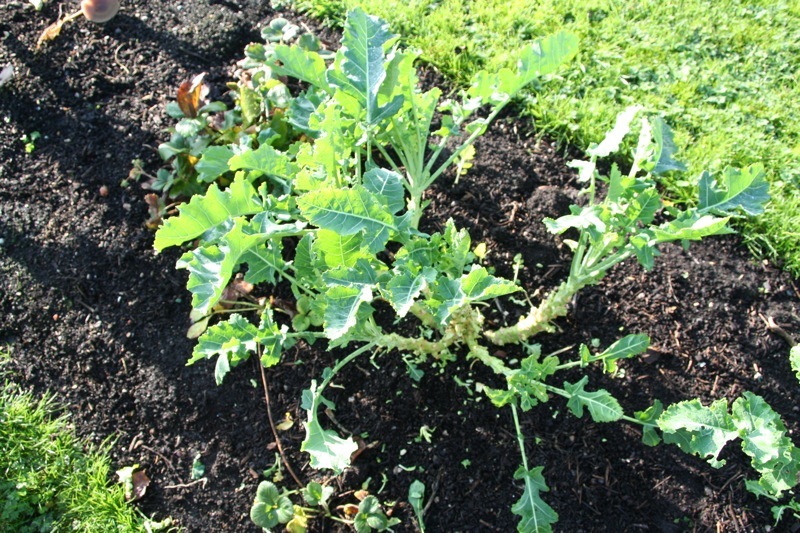 Both kales need regular picking and pruning as they keep making new stems. 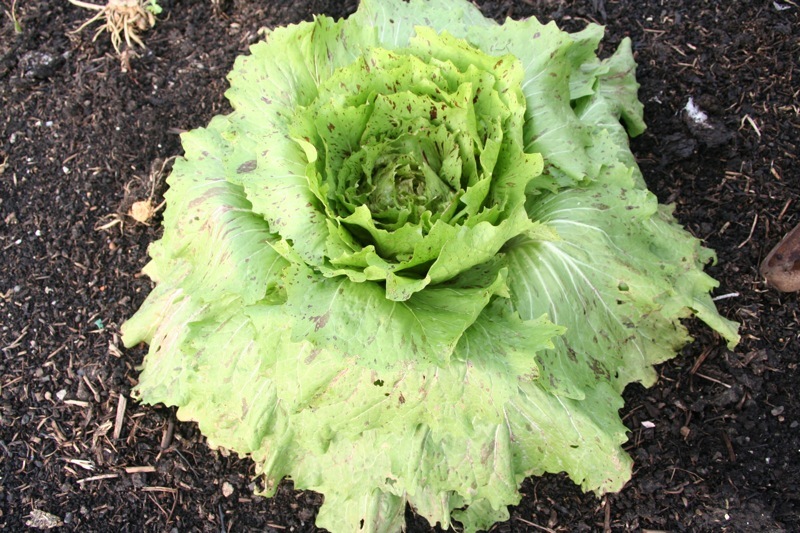 If you leave them untended, there is soon a plethora of smaller leaves, hard to pick and with slugs/snails hiding in there. I had neglected some Daubentons plants and recently spent time pruning them, now they are quick to pick and with better quality leaves. 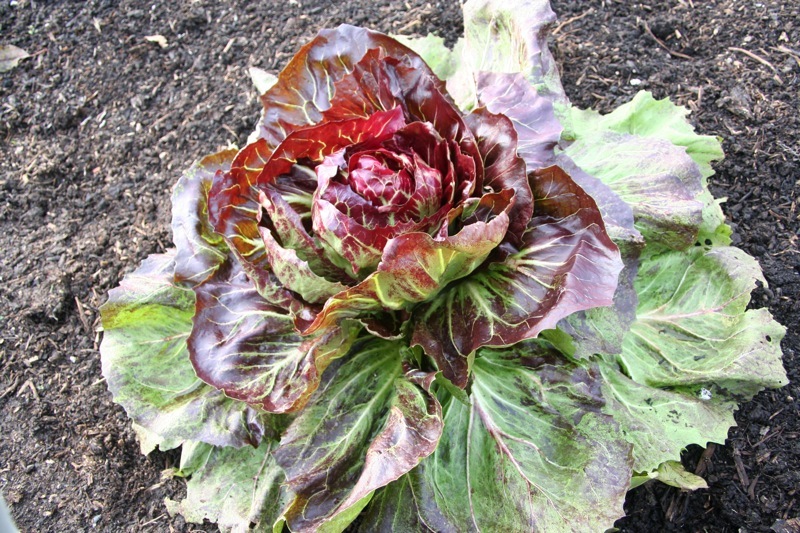 During winter I give a top dressing of compost to all my perennial veg, to maintain their output at a high level. 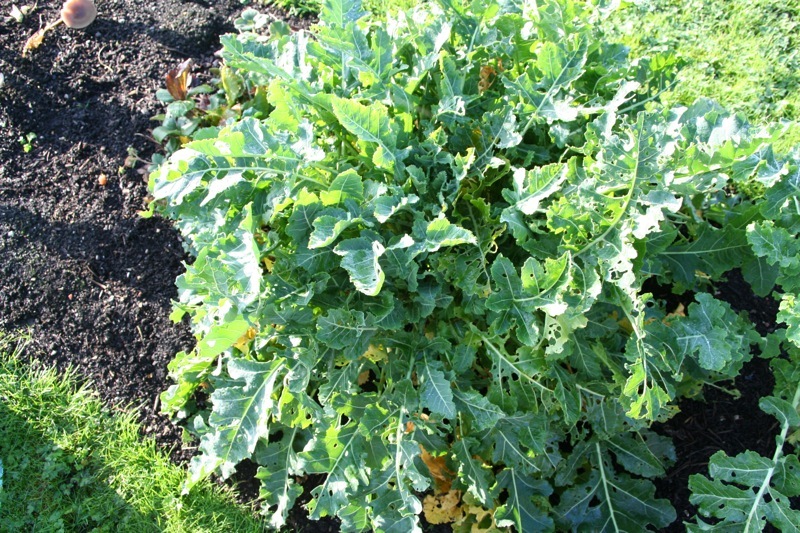 I am so impressed with how productive these kale plants are, all year long. 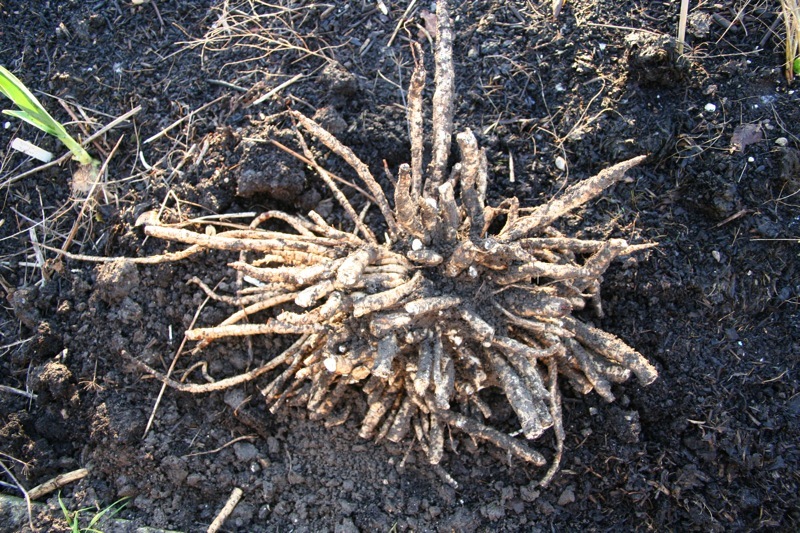 This is skirret, Sium sisarum. You can grow it from seeds, but I just dug up a two year old cliump whose stems had been six feet high. I found many shards of glass in doing this, from Homeacres old greenhouses. There were plenty of roots, but they are a real fiddle to cut off and wash. 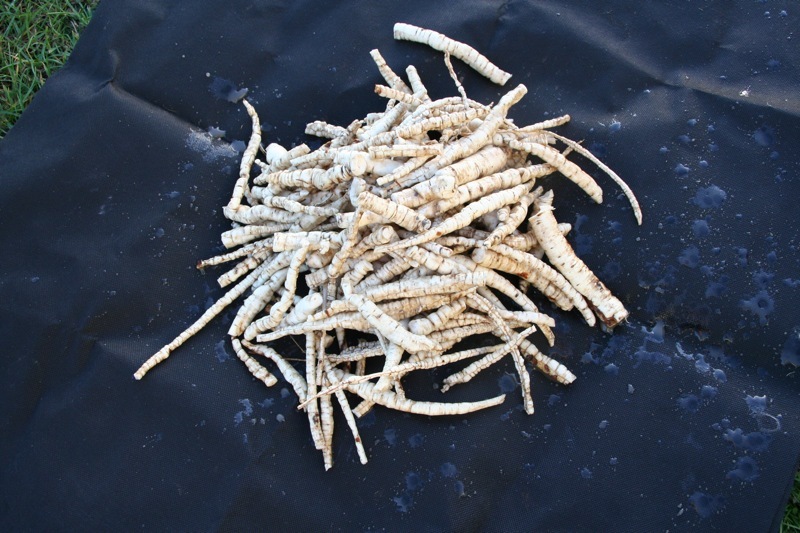 Apparently you cook them like carrot and parsnip, I lke their taste raw. 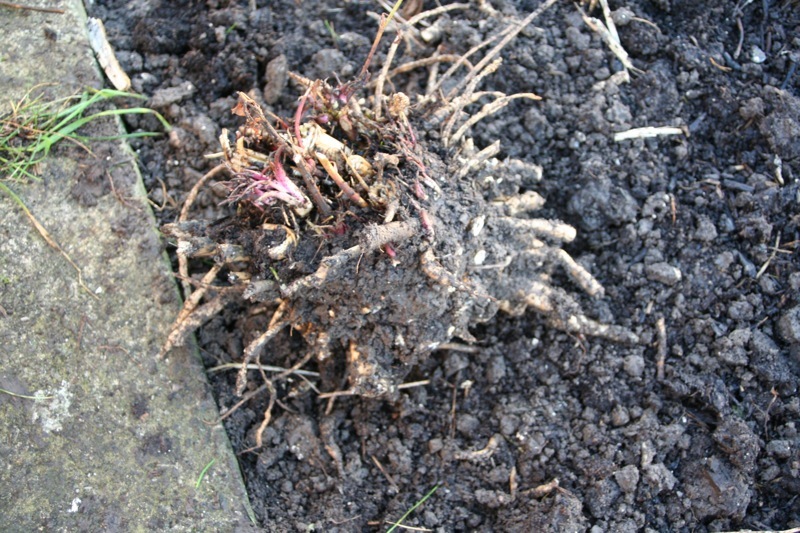 I then replanted the residue skirret in a different place, it was overshadowing some nearby asparagus. We have had several frosts but none below -4C yet. This is just enough to freeze salad leaves undercover, but not the plants’ roots, so they survive pretty well. 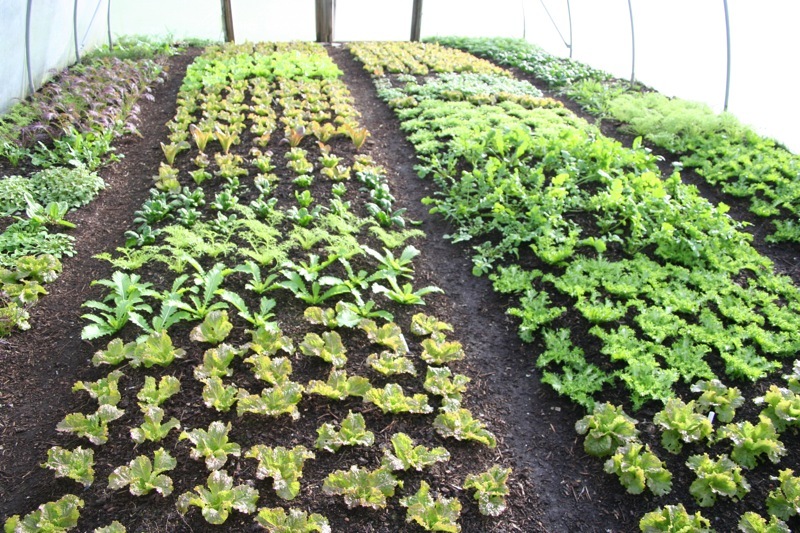 We pick all of them by taking outer pleaves only and these September-sown plants should crop until April, when they flower. Outdoor salads are producing little now that I can sell, though still some leaves for home consuption, especially salad rocket. I just cut the last hearts (they were quite open which helps resist frost) of radicchios and they are still in the shed until next week’s salad order. 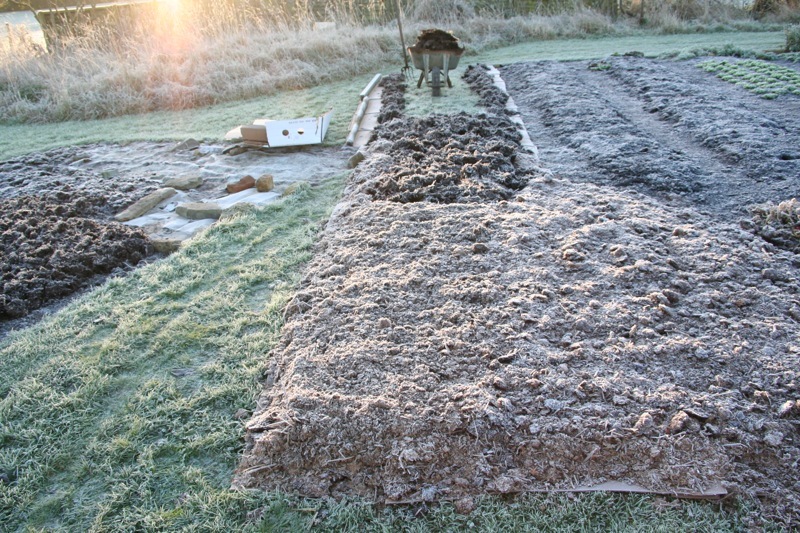 You never quite know what to expect, but in this case the manure had contained a lot of wood shavings, and most of them look similar to whan we made the heap, just darker in colour. 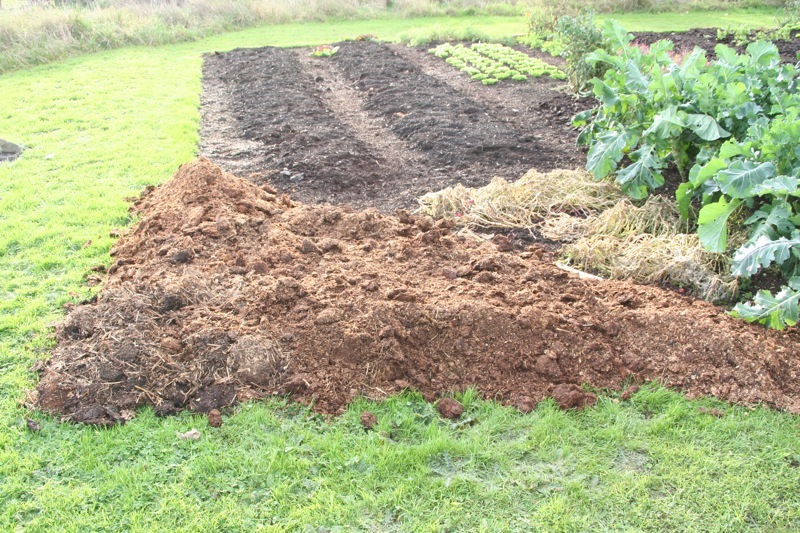 Not usable compost but I have spread it as a mulch on some pasture, for a new bed eventually. 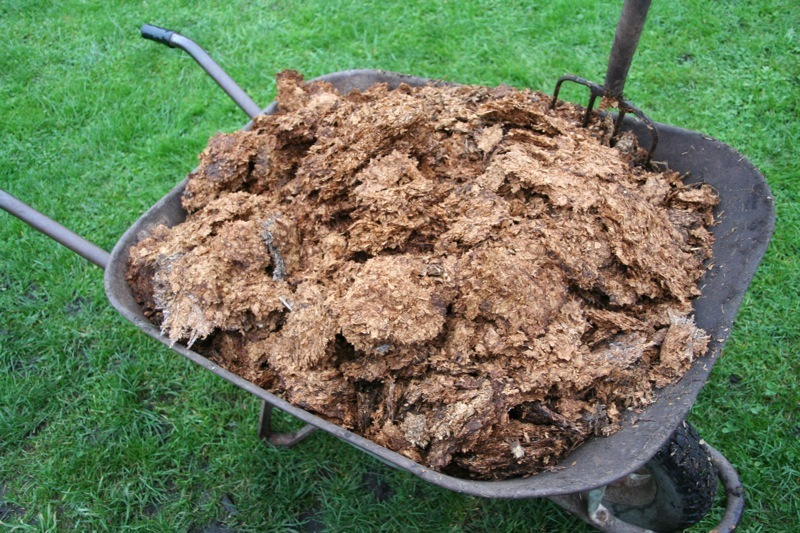 Another issue is possible contamination from aminopyralids, which I discovered after using this manure in a different heap. I took some of the nicer compost from on top and sowed peas & broad beans – to my relief, they grew well with no damage to their new leaves. But apparently this may not be total proof of zero contamination. I am fed up with this poison being allowed, and spoiling so much manure, mosty from hroses it must be said, as the weedkiller is sprayed on hay rather than silage fields.